Craftsman Direct, Repair, Remodel, Renovate, Painting, Siding, Roofing Handyman Home Contractor,Craftsman Direct “Handyman Home Improvement Inc.
Craftsman Direct “Handyman Home Improvement” Inc. is an award winning, locally-owned, home improvement company providing small to medium repair, renovation, and restoration services to the residential and commercial real estate holder in North Carolina. Our specialty is offering “One Call-Full Service” to Winston Salem, Greensboro, High Point, Raleigh, Durham, Chapel Hill, Greenville and Charlston. 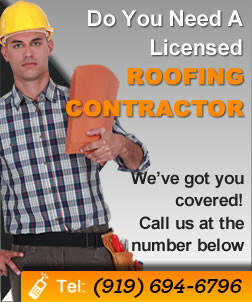  No Up Front Billing – You pay for completed and inspected work only.  Two Year Warranty- We double our competitors warranty.  Licensed, Insured Bonded – By Erie Insurance.  One Call – Full Service – We can help you with 99% of your home repairs. We will give you a free quote – our Written Price Guarantee on all home improvement/remodeling and renovation projects. This price is good for 30 days, Craftsman Direct offers an industry leading Two-Year Warranty. We are a licensed, bonded, and fully-insured home improvement contractor, as well as a member of the Better Business Bureau, Angie’s List Super Service Award Winner, NARI, Build it Green and the Winston Salem Chamber.